Are you looking for a fifth wheel that promises you a luxurious RVing experience that’s truly second to none? Look no further than the absolutely stunning and incredibly impressive Landmark fifth wheel. 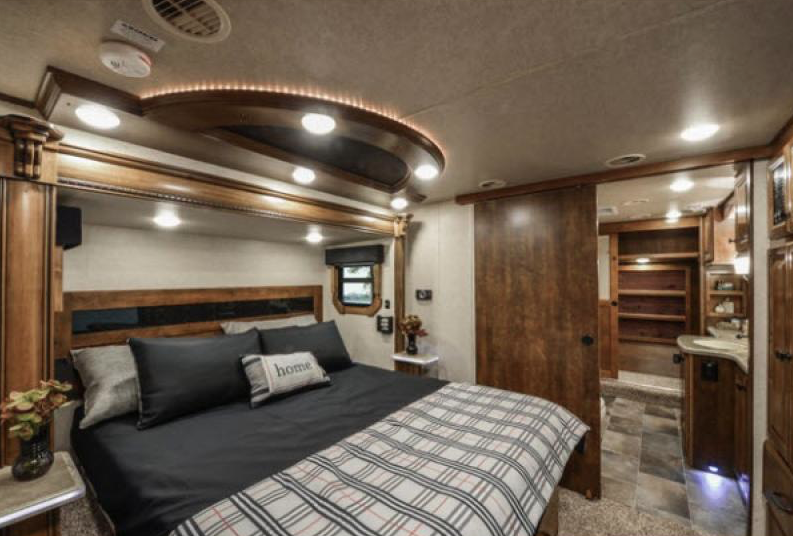 This RV offers you incredible comfort and is guaranteed to make you feel right at home regardless of where the road takes you. 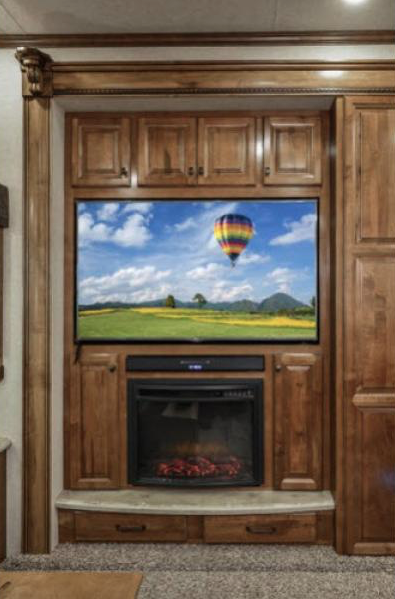 You’ll see what sets this RV apart in our Heartland Landmark 365 fifth wheel review. It’s one of the reasons we are delighted to be your Heartland Landmark 365 fifth wheel dealer. Will you take a look at this kitchen? It’s an absolutely stunning gourmet kitchen that offers you extensive space to create delicious meals. 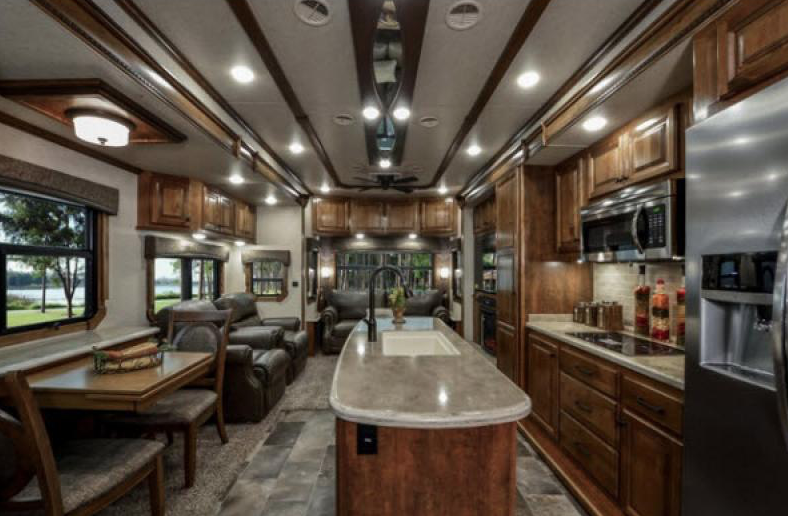 From beautiful, high end appliances to lovely cabinetry, you’ll feel right at home wherever the open road might take you. Hit up a local farmers market and grab some delicious veggies, then pop back to your kitchen and make a gourmet meal from fresh, local ingredients. We get it: traveling away from your home and without your own bed can be rough. But the beauty of RVing is that you can travel and have your own bed with you. Every Landmark 365 floorplan comes with a plush, comfortable, and inviting king sized bed. In addition to the bed you’ll have ample storage and even lovely farmhouse decor. Do you enjoy kicking back and watching a movie after a day of fun? Maybe you just want to put on the ball game and enjoy a beer. Whatever your style of relaxing, Landmark 365 promises to be there for you and make it a delightful experience all around. If you’re interested in learning more about available Landmark 365 fifth wheels for sale, contact us. We are here to help you find the best RV for your needs.